I was shopping with my mom after Christmas and I found this dress that was on sale from $800 to $200 and I got so excited! The dress was Red Valentino and they hardly ever go on sale, so it was such a good find! It was two sizes too big, but I loved it so much that bought it anyways and knew I could easily style it with a cute belt. I have been obsessed with anything leopard lately. 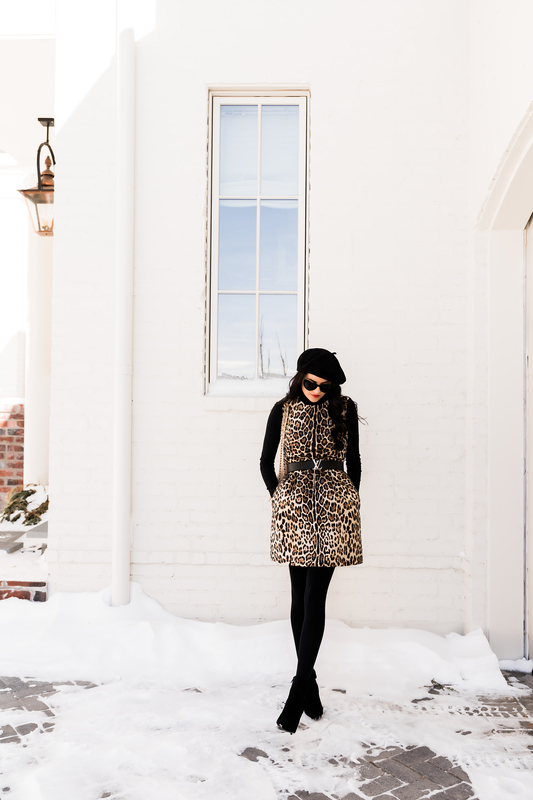 I have done a round up of my favorite leopard print pieces for you to shop below! Always love ♥️the animal prints look! 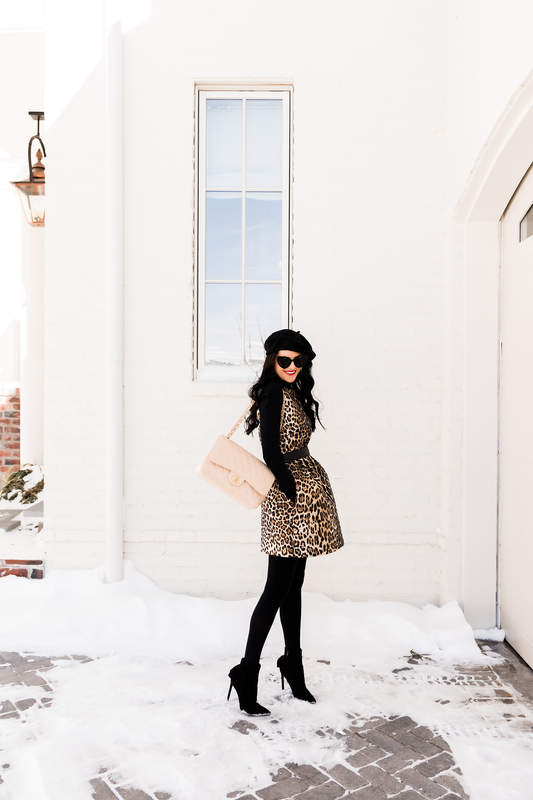 How adorable is this leopard dress! So cute! You look adorable in this dress! Love how you styled it! I love your outfit! Legs looking good girl! YOU always look so BEAUTIFUL! I have a question, your closet always looks so organized. I am CURRENTLY organizing mine, i have always stored my shoes in THEIR boxes but notice you display yours on shelves, do you keep the shoe boxes to your DESIGNER shoes? do your shoes get dusty? and what do with the boxes? What a great find! Love how you styled it with the long sleeve. I’ve always loved to wear leopard so I love this dress. You styled it beautifully. Loooove this chic leopard look ? I’m obsessed with your beige cf, Its my all-time dream bag. Super cute dress! I love that LEOPARD is back in style. What a fabulous find! I love animal print. So gorgeous and timeless! Hey Rach , another fabulous post ! Leopard and other animal prints are so hot. What is so great about leopard print is it is’nt fashion , its style.